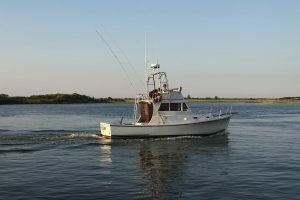 Fishing is one of the most popular American outdoor sports, with over 45 million people taking at least one trip according to statistics compiled in 2015. And it’s easy to see why it’s so addictive for so many folks. Fishing is a great family activity. It allows families to connect with nature and with each other, without the interference of cell phones, computers, and other electronic distractions, while providing a necessary and welcome diversion to their hectic everyday lives. It also provides ample opportunity to experience the beauty of nature, which is soothing for the mind and the soul. Combine that with the fact that it’s pretty cheap to get started with the basics, along with bodies of water to fish that are around every corner in this great country, and you can understand why fishing attracts so many people, and adds news fans every year. Let’s take a look at how you can get started with this rewarding sport. Fishing tackle is sold almost everywhere these days. 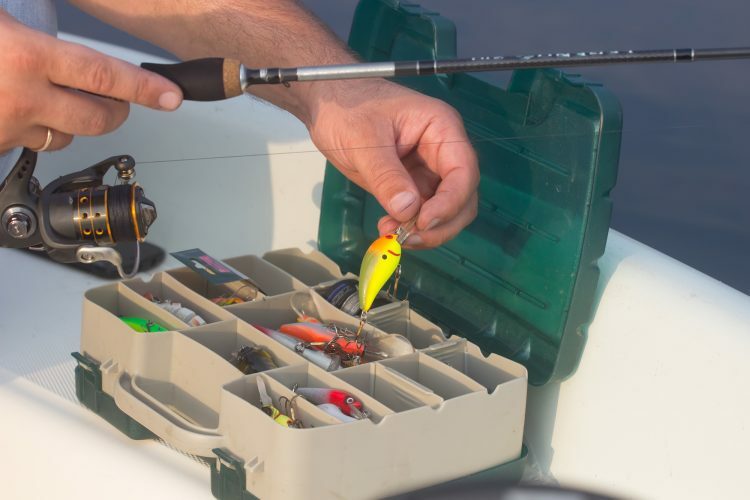 When I first started fishing, over 50 years ago, there were a limited amount of tackle outlets, but with the advent of online shopping and big box stores, all this has changed. The equipment is much better these days as well, due to better manufacturing techniques and increased competition among manufacturers. Getting started couldn’t be easier. 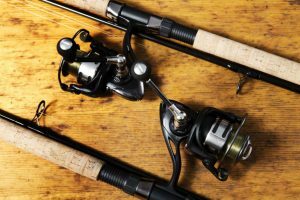 Manufacturers have put together combinations of rod and reels that can be selected based on the body of water or type of fish you’re pursuing. For instance, freshwater bass fishing requires much different tackle than chasing tarpon in saltwater. A good quality fishing reel is perhaps the most important component in your fishing arsenal. Think of it as a mini-winch. Its job is to bring the fish back to the boat or shore as you turn the handle. Seems simple, but today’s modern reels have many gears and other intricate parts that work together to make line retrieval smooth and easy. It’s really easy to get lost in the weeds when talking about the various characteristics of fishing reels. 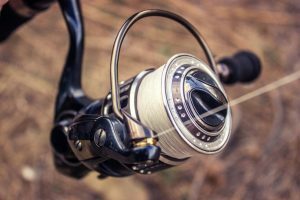 Things like gear ratio and line capacity always come up in conversations about fishing reels, but all you need to concern yourself with as a beginning angler is that your reel can hold enough line for your fishing situation, and whether or not it’s matched with the proper rod. 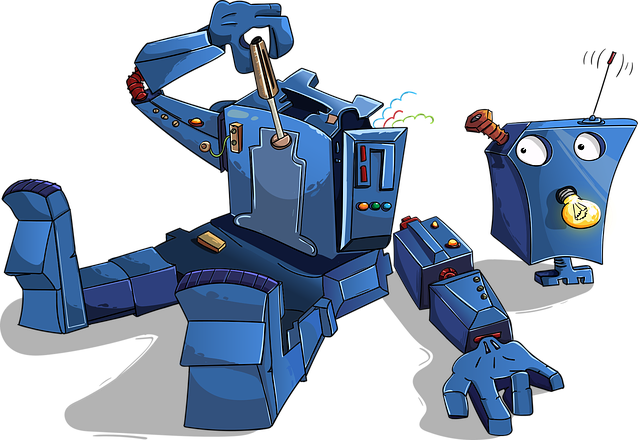 Just like fishing reels, the fishing rod you select can be over-complicated by the sheer number of choices available. There are many different lengths and actions, and they all can handle various line strengths and lure weights. Selecting just one out of the hundreds available can be intimidating for a beginner, and here again is where a pre-rigged combo can save you time, money, and aggravation. In general, a six to seven foot medium action rod will handle quite a bit of the freshwater fishing situations you’ll encounter, but I still think it’s best to seek assistance. In fact, I would recommend visiting one of the well-known stores such as Bass Pro Shops® or Cabela’s® to purchase your first outfit. The guys behind the counter at these places live and breathe fishing and can steer you in the right direction if you give them just a little information about your intentions. They’ll also be able to recommend the proper line strength for your fishing situation, and answer any questions about lures that would work well with your new combo. It’s easy to get carried away when purchasing fishing equipment. I know this from experience! So be sure to have a dollar figure in mind when you go shopping to avoid any nasty surprises. 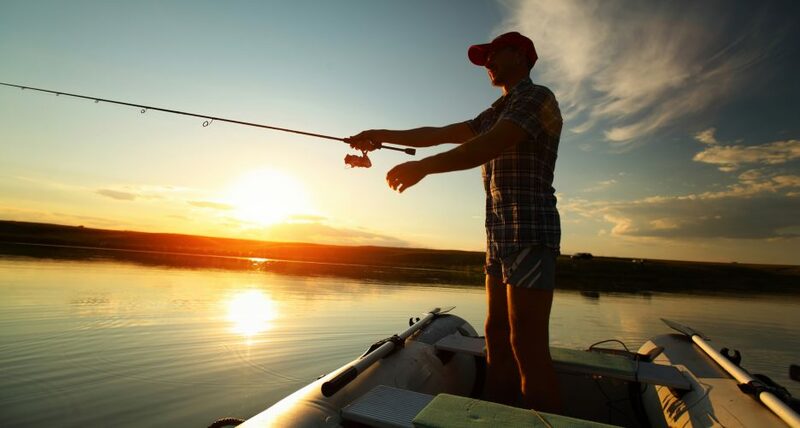 If you’re lucky enough to live near the coast, you can probably partake of both freshwater and saltwater fishing to see what your favorite is. 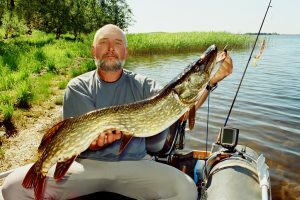 But I believe that most of us fisherman, no matter where we live, get started fishing in freshwater. There are lakes, ponds, rivers, and streams all across the United States, and chances are there is some great freshwater fishing very close to where you live. Getting started with freshwater fishing is easy and can be done relatively cheaply. No boat is required, as shore access to all kinds of bodies of water are right around the corner from you, I guarantee it. And the list goes on. There’s something for everyone, and whether you’re practicing catch-and-release or are keeping a few fish for the frying pan, you’ll be rewarded with a tug on your line if you do the basics right. Sounds funny, I know, but I’m suggesting you fire up your computer and take a look online before you venture forth on your first adventure. The reason is simple. There are tons of fishing forums online, and you can be almost certain that if you enter “bass fishing from shore + your area of the country” into your favorite search engine, you’ll be rewarded with plenty of results that will lead you to some of the best fishing in your area. While it’s true that most fishermen guard their private honey holes, some people just want to share their knowledge and success with the world, and will generously provide information in forums and on their favorite blogs. Doing your research before wetting a line will pay off for sure. Like anything else in life, outdoor sports are heavily regulated. I can hear the groans now, but let me explain why I think this is a good thing. The regulations for catching and keeping certain species of fish are in place to manage the fishery and ensure species will continue to thrive. 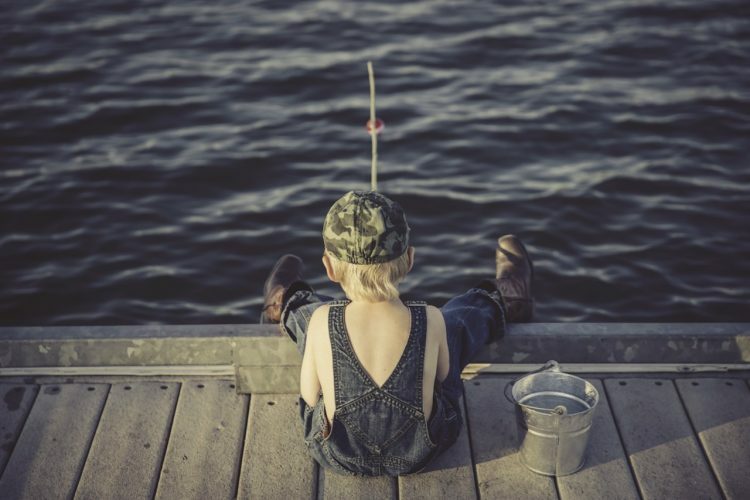 Local biologists and officials get together and agree upon bag limits and appropriate lengths, and sometimes even restrict the taking of certain fish at different times of the year, all to ensure that our children’s children will be able to enjoy outdoor sports the way we do. Most fishermen respect the law and do the right things regarding limits, but there are always a few the abuse the privilege and give all us law abiding outdoorsmen a bad name. Don’t be one of these people. Be aware of the laws and regulations in your area. It’s simple to look something up online if you have a question, and it’ll save you a boatload of aggravation and maybe even some serious money. Speaking of money, part of your fishing budget should include the purchase of a fishing license. While essentially free for the very young and also senior citizens, most of us will require a fishing license. Again, don’t try to save some money by skirting the law. 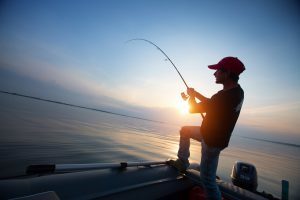 The price of a fishing license is virtually nothing compared to the fines you’ll have to pay if you get caught without one. 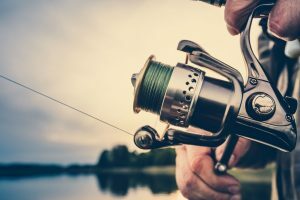 Besides, all the profits from license sales and other fees and taxes you pay when purchasing fishing gear will go towards programs to improve outdoor recreation in your area. I got started on fishing without the use of a boat, and didn’t have one for years. Guess what?! I still caught plenty of fish! A boat can be a great asset when you’re pursuing gamefish, but it’s not an absolute necessity to get started. Many people fish from shore and enjoy the great outdoors without a boat. Owning a boat can be an expensive proposition. You’ll have to pay for gas and maintenance just like any other vehicle, and will need to register a trailer to get it back and forth from the water. If you live in an area of the country where it gets very cold in the wintertime, chances are you’ll have to winterize it and only get to use it in the warm weather months. The exception to this is if you fish small bodies of water with a rowboat, canoe, or kayak. This is actually some of my favorite fishing to do because it brings me closer to nature than any other type of fishing. There’s just something about being on my favorite body of water early in the morning, with no noise other than water dripping from my paddles and the twittering of birds and croaking bullfrogs that really recharges my batteries. Fish behavior can become pretty predictable, and the more time you spend on the water, the more patterns you’ll see developing. For instance, low light conditions almost always produce the best bass fishing for me. Dawn and dusk are my favorite times to be on the water. 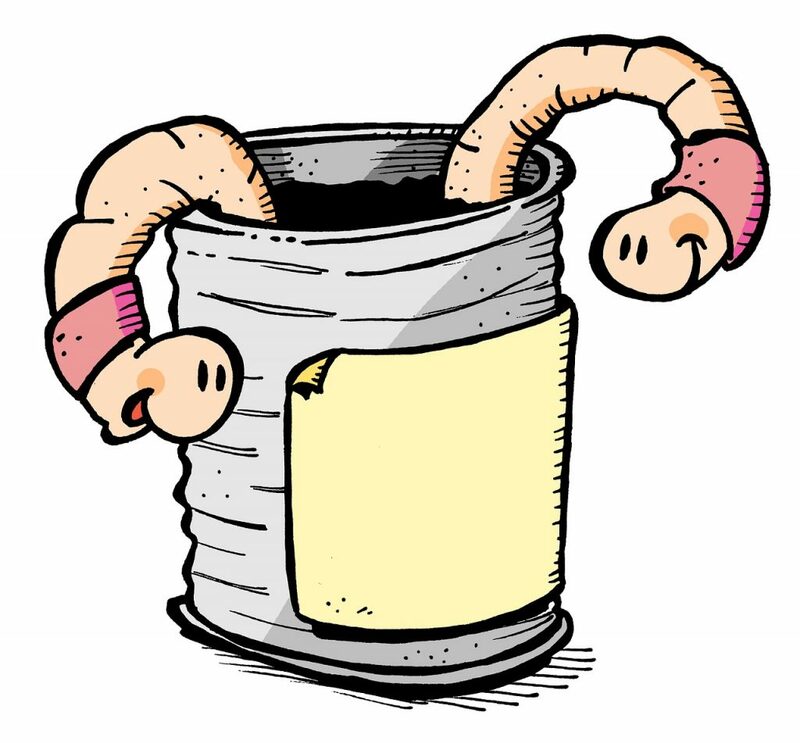 At other times, such as when a cold front comes sweeping through your area of the country, you may find that the fish have developed lockjaw, and you’re better off cleaning and organizing your gear rather than flailing away on the water. One common denominator when it comes to fishing, whether it’s saltwater or freshwater, is the fact that fish generally relate to some sort of structure. It could be an underwater channel or hump off the coast of Florida, or an old roadbed in a remote lake in Maine, but odds are, wherever there’s a piece of structure that is breaks up the surrounding area, fish will at some point congregate there. Fishermen often confuse structure with another common area where fish hang out, called “cover”. Because you’re an educated angler by virtue of reading this blog, you’ll notice the difference right away. 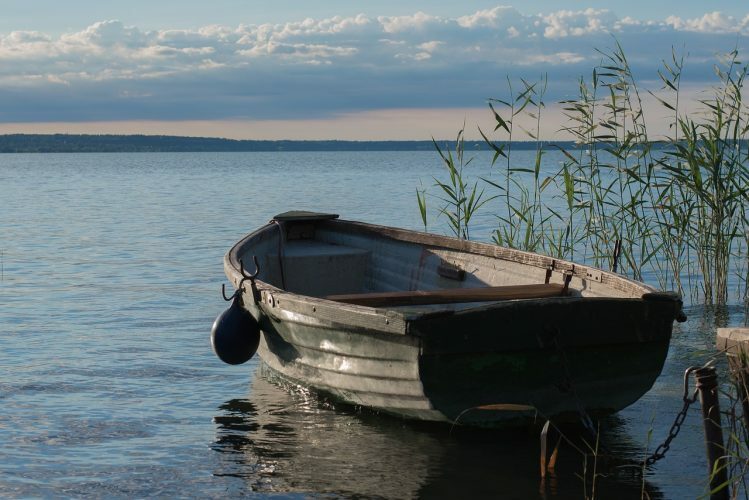 Cover can be anything like weeds, downed trees, boat docks and swim rafts, stumps, etc. Cover can also be closely associated with structure, in fact right on top of it in a lot of cases. Fish hang around structure and cover because it attracts all kinds of life. A field of lily pads attract all sorts of small insects, which in turn attract small fish, as well as frogs and snakes and other aquatic life. Bass know this because their life depends upon them expending the least amount of energy to obtain the most amount of food. Their lives literally depend upon it. When you think of where to fish on a new body of water, look for structure and cover and you’ll more than likely find some fish. Whether or not you can get them to bite on what you’re offering is another matter altogether! I’ve heard it said many times that most lures attract more fishermen than fish. After looking at my spending habits over the last few years, I think that’s a pretty accurate statement. Some fishermen stick strictly to either one path or the other regarding lure or live bait, but I’ve always been in favor of whatever gives me the best chance of catching some fish on any given day. While I’m mostly a lure fishing enthusiast, I am not against dunking a nightcrawler or dangling a lively minnow underneath a bobber when the conditions call for it. And I think that’s the best way to look at it. Let the local water and weather conditions make the call for you. If you decide to make live bait a part of your arsenal, it’s best to do a little research before you hit the water. This can be as extensive as looking searching for clues and tips online, or as simple as stopping at the local bait shop and asking the proprietor what the fish are biting on. 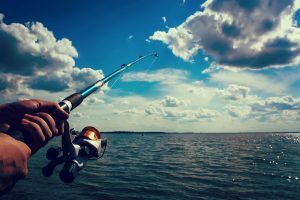 Most fisherman can be tightlipped about what’s producing best for them, but the bait shop owner will steer you in the right direction for sure. It’s in his best interest that you’re catching fish, as you’re sure to be a repeat customer. 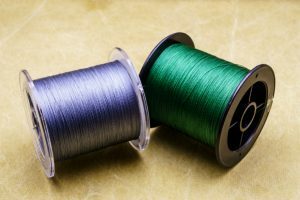 We’ve already discussed the basics of rod and reel selection, and perhaps that’s really all we should concern ourselves with when we’re just starting out. However, most fishermen are curious sorts, and are always looking for ways to up their odds when the get a chance to wet a line. If you fall into this category then you’ll probably want to go beyond just the basics of catching fish, and take a more scientific approach. Water temperature is a very important factor to consider when pursuing your favorite type of fish. 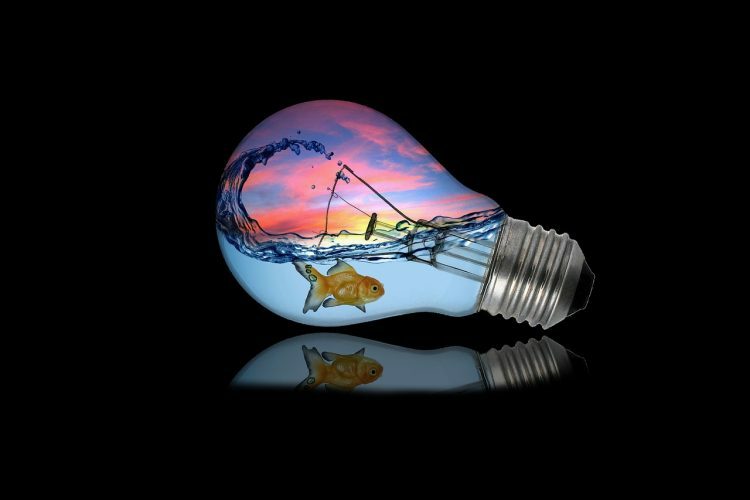 Each fish species has certain preferred temps for different activities, such as feeding or spawning. Know these temps and then accurately measuring them when you’re on the water can mean the difference between reeling in the big ones or just another fishless day on the water. As I stated above, freshwater bass fishing is among my favorite types of fishing, and I do it every chance I get. I live in the Northeast, however, and that can mean long, cold winters, where the lakes are frozen over and life in the cold waters seems to slow down to nothing. In the spring, after ice out, fishermen cannot wait to get on the water and see if the bass have grown any longer and heavier over the winter. I am among the first ones out there! From years of experience, I know that bass begin to make an annual migration to shallower water when the water begins to warm. If I know there are some shallow water flats and coves in the lake I’m fishing, and they get sun all day long, they will be the first areas of the lake to warm, and the bass will be more active in this area. If I find a temperature difference between the main lake and some coves or flats, I generally fish that area hard, and I’m usually rewarded with some cooperating bass. Fish will prowl the shallows searching for food, or for a suitable place to spawn, but they love to have access to safety, and this usually means deeper water. If I’m fishing an unfamiliar lake, I like to take a look at a topographic map before I hit the water, even if I’m taking my boat and a high quality depth finder. Spending time looking over a topo map will save you time on the water. Things to look for include sunken road beds, shallow flats with access to sharp drop-offs, and underwater irregularities. Even if you’re fishing from shore, a topographic map will help a great deal. I take advantage of anything that can save me time on the water. The time I get allotted for fishing is precious to me, and I don’t want to waste it guessing where the fishing are going to be. It’s easier to know as much as possible going in. Lots of lakes have topo maps online now, whereas years ago we used to have to purchase them. Another great time-saver is a depth finder, or fish finder as some people call them. If you can afford a good quality fish finder unit, it will save you a great deal of time searching for structure where fish might be congregating. I could write a whole book on this subject, it really is that important. Safety on and around the water is my number one priority, and I’m hoping you make it yours, too. When out on a boat, even if it’s not yours, make sure you have a life jacket available. This sounds like a no-brainer, but there are tragic accidents on the water every day that could be prevented with the proper use of life jackets. The absolute best way to make sure you’re protected is to wear your life jacket at all times. This probably sounds extreme to you, but I can assure you it could save your life. 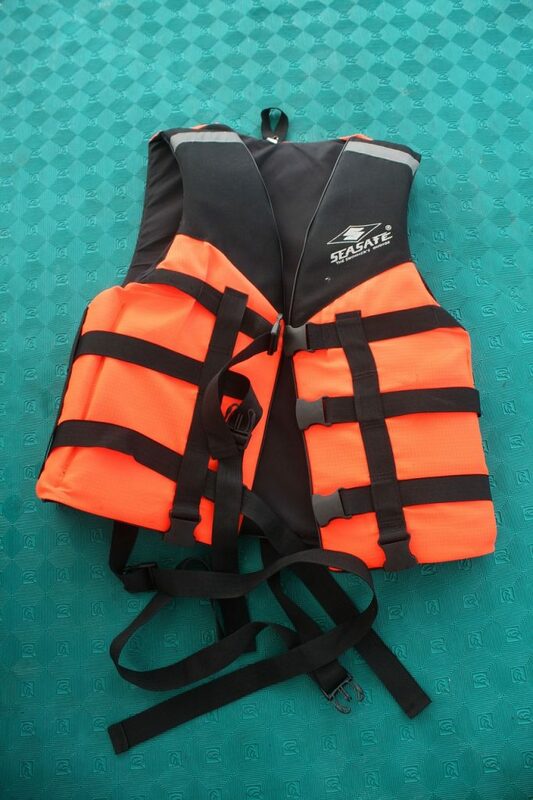 And life jackets these days are more like dinner jackets, not the bulky orange ones we see in old World War II movies. They’re comfortable and lightweight, so there’s no excuse for not wearing one. In fact, when canoeing or kayaking in my area of the country there are laws that state lifejackets MUST be worn before and after certain dates due to the water temperature and hypothermia risk. Don’t overlook this basic piece of life-saving equipment. They’re compact and lightweight, and filled with a surprising number of items that come in handy on the water. Special first aid kits are sold specifically for fishermen and outdoor people. Like the saying goes, don’t leave home without one. They’re inexpensive as well, so there really is no excuse. I’m sometimes tempted to leave my cellphone in the truck when heading out on the water. Part of the appeal of being outdoors is the fact that we can unplug and get away from it all. We’re constantly bombarded with emails, advertisements, and instant messages, to the point where we have a tough time looking away from our phones, even while driving, for fear of being too far out of the loop. But a cellphone can also be a safety device. It has a built in GPS so you can be found even if you’re incapacitated, and you can always make a call to loved ones letting them know you’ll be later than expected because the fish are biting! It’ll prevent them from worrying. Hey, do like I do. You don’t have to turn it on, but please have it with you. I keep mine in a dry bag, even though I have a water-resistant case. Don’t plan on being out after dark? Sometimes the best laid plans can go awry, and it’s better to be over-prepared than under-prepared. Today’s flashlights are small, lightweight, and very powerful. Not only that, but a decent waterproof one can be had for cheap money, so there’s no excuse not to have one in your bag of tricks. We could go on and on here, but I think you get the idea. Anything you might think you’ll need, even if it seems silly at the time, could mean the difference between a comfortable, safe trip and an absolute nightmare. Make safety your number one priority when you’re on the water. We covered a lot of ground here, but the main thing I’d like for you to take away from this is that fishing can be an extremely fun and rewarding hobby. It can be enjoyed alone if you’re looking for the utmost in peace and solitude, or together with family and friends as a way of connecting and leaving distractions behind. We’ve just scratched the surface here about how to catch a fish, but I’m hoping it’s enough to whet your appetite for getting out in the great outdoors. Getting started couldn’t be easier, so what are you waiting for? Good luck and tight lines to you! 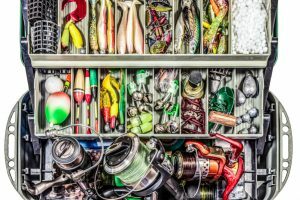 How to Organize Your Tackle Box? Some recommended products may use affiliate links. FishermansToolbox.com is a participant in the Amazon Services LLC Associates Program, an affiliate advertising program designed to provide a means for sites to earn advertising fees by advertising and linking to Amazon.com. Amazon and the Amazon logo are trademarks of Amazon.com, Inc or its affiliates.